I invite an opportunity to get you exposed and noticed. I developed a five tier approach. These approaches represent the expertise of a Marine Warrant Officer. The basic tier is our Warrant Officer (W1) Level. 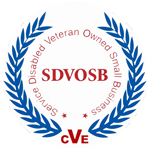 It is for most startup businesses with limited budgets and enjoy linked logo placement on opps4vets website and being in our directory with global presence. Engaging in our sponsoring underwriting opportunity not only assures your global visibility, it contributes to our OPPS4VETS Handshakes not Handouts promoting America's #1 Choice the Veteran Owned Business. The other 4 tiers are listed below each representing the level of expertise of the Marine Warrant Officer's. Getting noticed at a cost you can afford. Position yourself to expand your brand. Delivering results with a targeted audience. Serious brand/marketing buyer. Making a difference.